Friday afternoon we packed the defender with a few bags and a few friends then headed two hours west to a place encompassing mountains, waterfalls, woodlands, and rainforests - the glorious Blue Mountains. 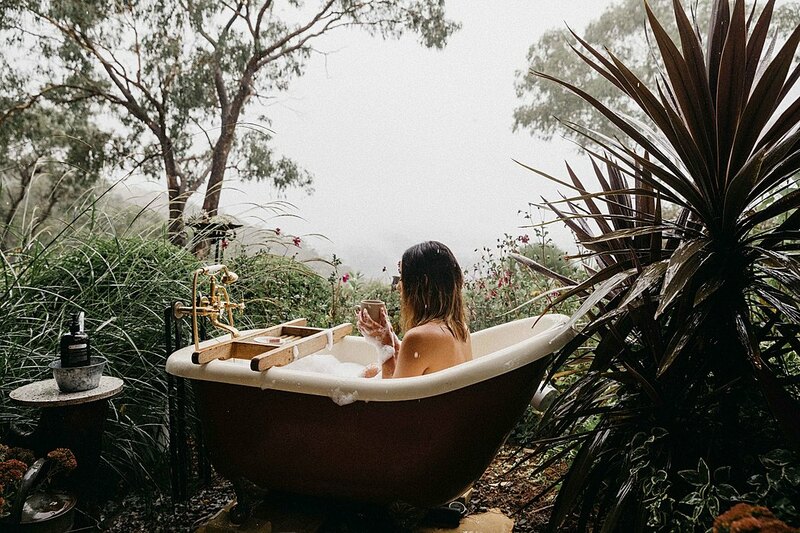 With stunning natural beauty, the World Heritage region of the Blue Mountains is an astonishing place any time of the year - glowing in autumn, misty in winter, colourful in spring and refreshing in summer. We travelled in autumn to witness the colour of the leaves change from an earth green to a feverish red as well as to see the slate-coloured haze that gives the mountains their name. (It comes from a fine mist of oil exuded by the huge eucalypts that form a dense canopy across the landscape of deep, often inaccessible valleys and chiselled sandstone outcrops). Arriving at sundown, we settled smoothly into Kookawood - the air was fresh so we started a roaring log fire and spun some tunes on the record player - finding ourselves a bottle of wine we discussed a plan for the following day’s adventures. Kookawood felt like home, not just in itself but in its surroundings. 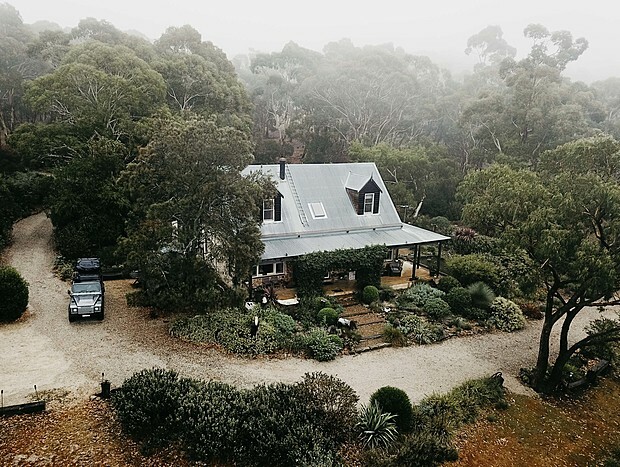 The peaceful location, the furry farm friends, the ever-changing outlook of hovering fog through the hills and valleys. We could feel the immensity of nature.